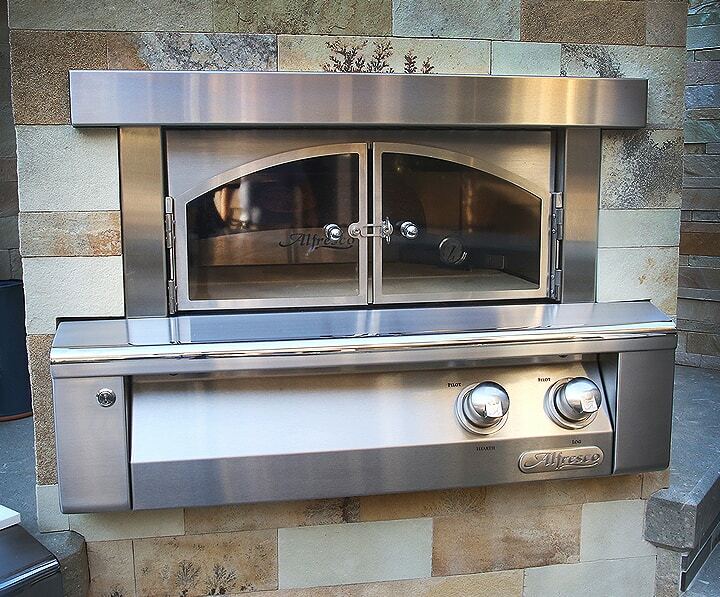 Alfresco Pizza Oven Plus ovens are built to be the most versatile and highest performing gas-fired ovens in the world. 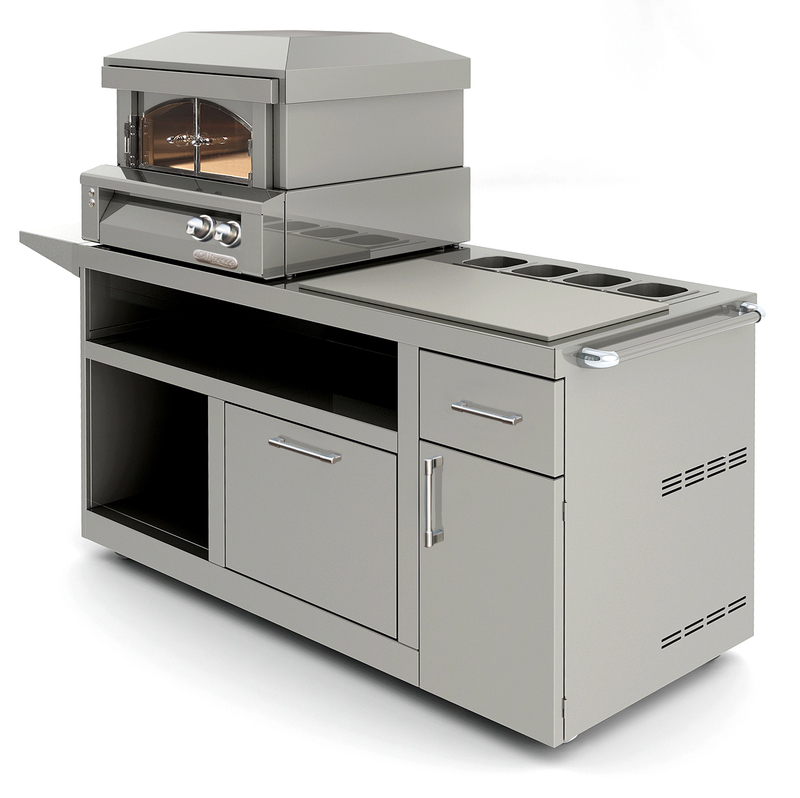 Our material, design, and manufacturing process revolves around creating a uniquely high-performing oven that preheats in 15 minutes and can reach over 1,000º F allowing you to bake, roast, iron-skillet sear, and of course, cook perfect three-minute Neapolitan pizzas. 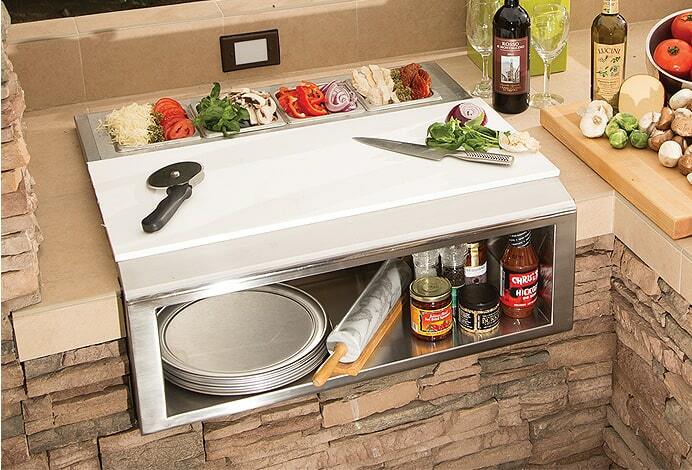 Our sturdy pizza oven cart creates mobility for your pizza oven when counter space is at a premium. 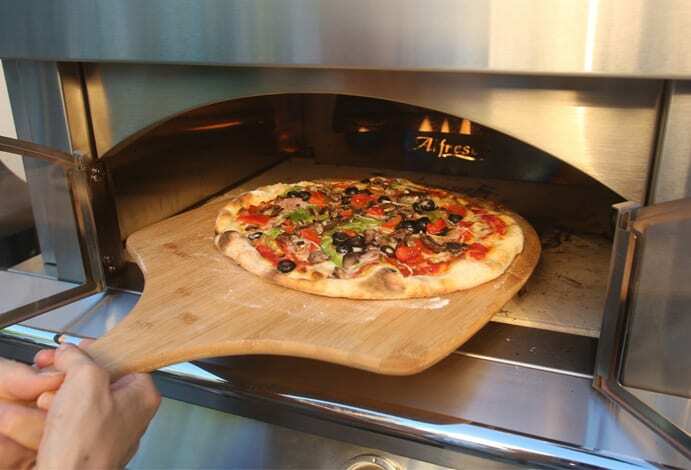 Truly great pizza requires temperatures that conventional ovens can’t reach. 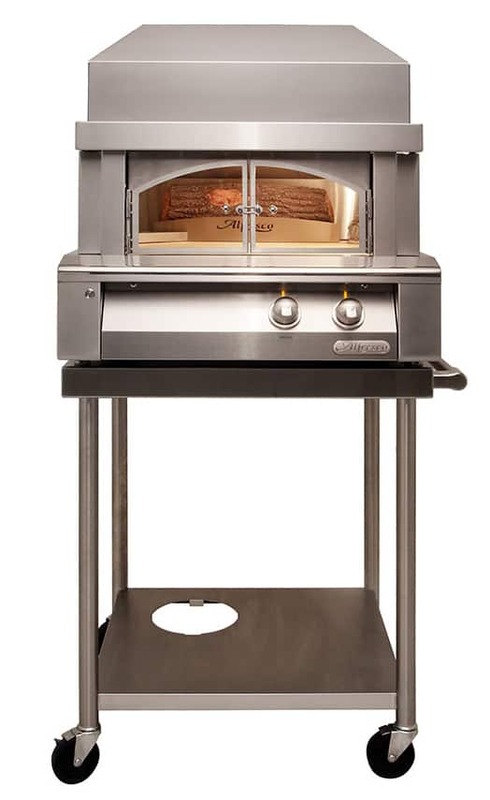 Pizza Oven Plus reaches up to 1,000º F to give you the ideal balance of thin, crisp base, and perfectly charred artisan crust. but faster and with better results! 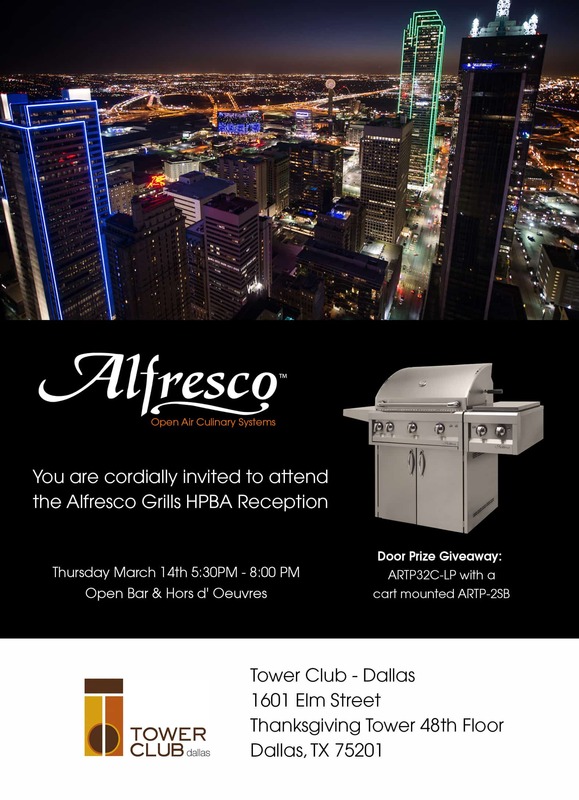 Pizzas and So Much More! 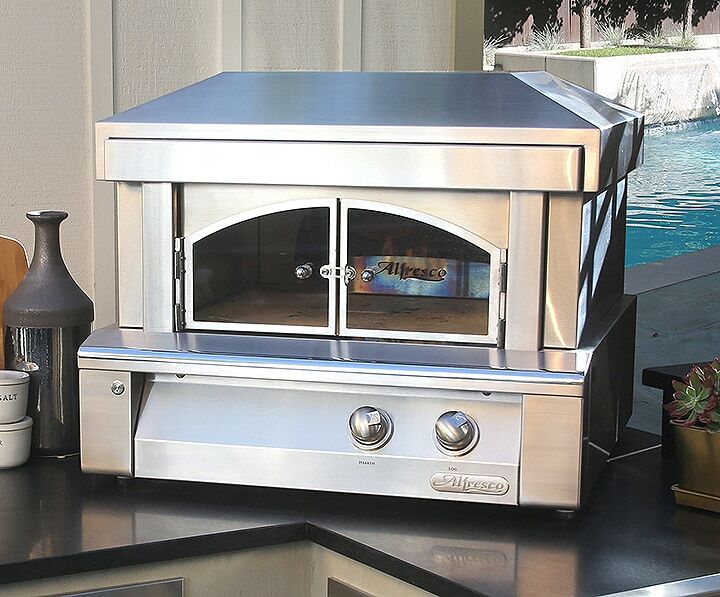 Cooking 3-minute Neapolitan pizzas directly on the hearth, Prime New York steaks pan-seared in an iron skillet, herb & spice rubbed pork chops in a ceramic baking dish, all can be done in Alfresco’s Pizza Oven Plus!